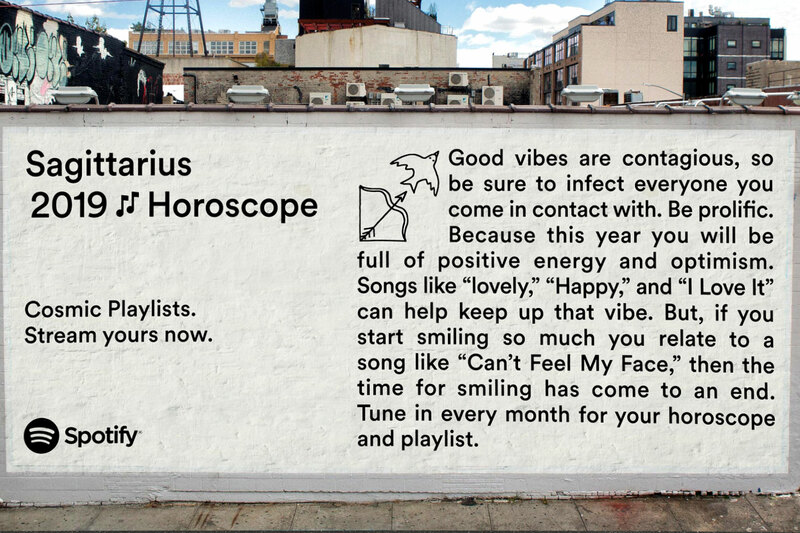 Just in time for the lunar eclipse on Sunday, January 20, Spotify is getting into astrology. 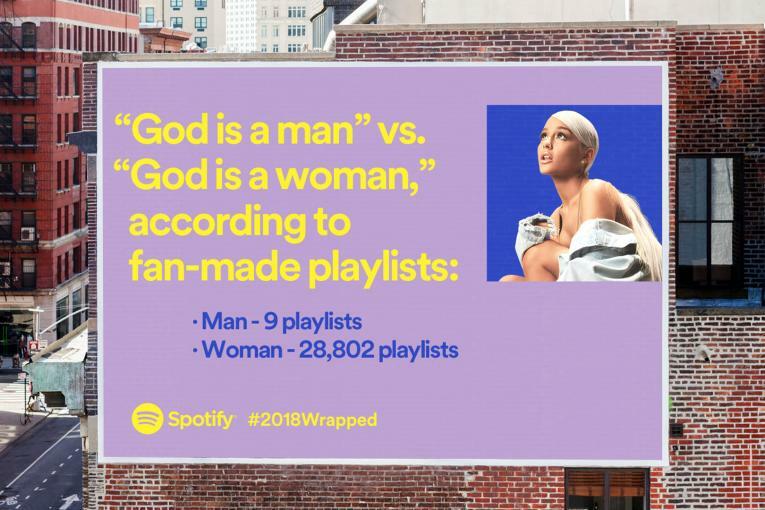 The streaming platform has debuted “Cosmic Playlists,” twelve different collections curated specifically for each astrological sign, each accompanied by a reading from guest astrologer Chani Nicholas. The lists mark the coming of what’s apparently a significant cosmic event this year--what NASA says will be 2019’s only total lunar eclipse. It will feature what’s called a “super blood moon"--one that's especially red, large and bright, thanks to its timing and proximity with the earth. 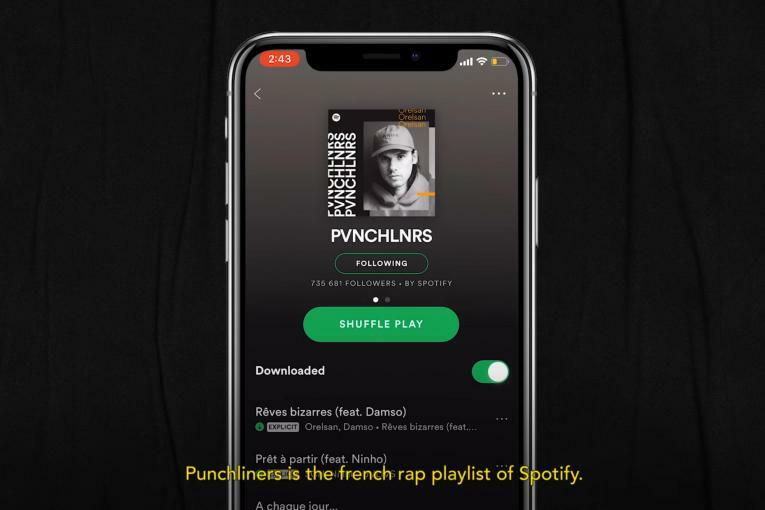 To help listeners make the most of the experience musically, Spotify is encouraging them to to tune into Spotify’s Pop Culture hub to get their horoscope and hear sign-specific lists, each of which is informed by Nicholas' readings. 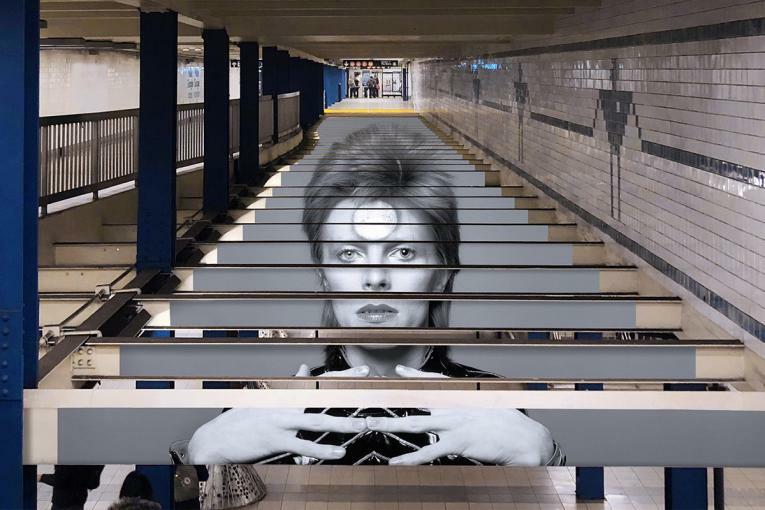 To promote the "Cosmic Playlists," Spotify has debuted an out of home campaign consisting of wild postings and projections for when the sun goes down. It will be running over a few nights during the eclipse.